I feel that at NTU in general, there is so much emphasis placed on employability and what comes next after university! It really does prepare you for the job you want in the future and offers plenty of support to help you get there. 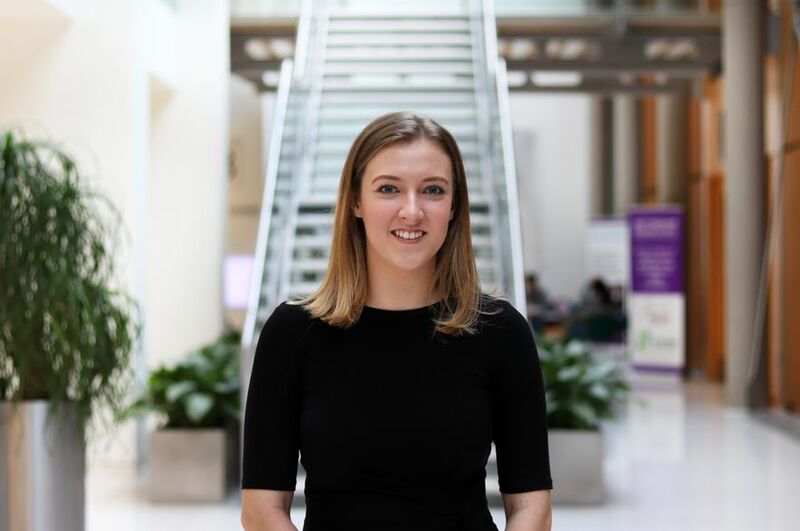 Becky shares her experiences of working for Browne Jacobson as part of her course, Law (Sandwich) LLB (Hons) and what it has been like studying at NTU. I decided to do a work placement at Browne Jacobson as they had existing links to the university and I had therefore spoken to their employees at law fairs. I had even played a netball match against their work team whilst running the LEX law society team in my second year (I then joined and still play for Browne Jacobson’s netball team now!). This meant I was aware of the firm, its reputation and had good impressions of the firm’s culture and ideals. The placement offered at Browne Jacobson also involved working in a team dealing with historical child abuse claims and this was an area which stood out to me as different and interesting. I knew immediately that this would be the ideal placement for me. The employability team were extremely helpful during the application process. I applied for my placement through InPlace and received interview support from the employability team. I then attended a practice interview with one of the employability team’s staff members a few days before my interview. They managed all correspondence with the firm, relaying everything to me and they really dealt with everything until I had been offered the job and began communicating with the firm directly. The application and interview process itself was very straightforward at the time of my application. I applied on InPlace and received a call from the employability team to arrange an interview. I then attended the interview and completed a case study task the following week. After this had been reviewed by the firm, I was offered the job. I was very lucky considering the usual application process for legal jobs is so intense and I now know that Browne Jacobson require their current placement students to attend an assessment day. During my placement my official role was ‘legal assistant’ and was very similar to that of a paralegal. I was mainly required to peruse documents relating to civil claims and draft detailed summaries of the relevant information for senior fee-earners to use in reports and to help them understand the claim without spending weeks reading through dense records! Another large part of my daily role was to redact any sensitive information from documents that would be disclosed to the claimant’s solicitor or otherwise. Occasionally, I had the opportunity to complete tasks such as corresponding with other professionals, attending a watching brief at Derby crown court and drafting instructions to an expert. The firm’s culture was so well suited to me. Everyone I met throughout the year was like-minded and friendly. My team were amazing and so welcoming, I was treated like a permanent member of staff rather than a placement student. I was given opportunities to do new and interesting work when possible because the partners and solicitors wanted me to get the most out of my experience. The firm also hosted numerous social events to allow staff members to network and to ensure that the employees have good internal relationships. During my placement year I took part in the UK corporate games 2017 whilst captaining the netball team. I also participated in a corporate basketball tournament hosted by a professional team in Leicester and visited a local school on a weekly basis to help key stage 2 children learn how to read. These activities were in addition to many more firm social events such as a charity fashion show and firework nights. With regards to my graduate employability,I have gained an in depth understanding of how a law firm operates in general I now know the importance of good commercial awareness and that a ‘business’ aspect exists in any organisation. My placement year taught me a lot about client care and how important it is not only to provide accurate legal advice but also the significance of building a good rapport with your clients. I am now aware of the possible qualification routes available to me in the legal profession and how the application / interview process for training contracts generally works. My placement gave me a totally different mindset with regards my studies. It prepared me to work long hours every day which is vital in my final year. I learnt how to use different research materials whilst on my placement and can consequently I now make the most of all teaching materials provided by the university. I have improved my research and writing skills and this will help me significantly with assessments. I am also much more motivated as I now have first-hand experience of what I’m working towards and I recognise what getting a good grade at university will allow me to achieve. I have also improved my communication skills significantly, learned to use my initiative more and I have experience of working with a wide variety of people. I feel that because I have a year’s experience of working fixed hours every day in a commercial environment, it will be a huge bonus when applying for jobs. This will allow me to show employers that I am reliable and that I understand how different working life is from being a student, which is often overlooked by graduates when applying for jobs. If i could advise students currently applying for work placements, I would tell them to make sure that you understand exactly what your job role is and what you will be doing during your placement. Also ensure that the firm is well suited to you as a person; as an example, you don’t want to end up in a reprographics department for half the year and regret the experience; or be placed in very fast paced firm / area of law where you will have to go to court within your first few days if you don’t feel comfortable doing so. But I would say, definitely go for it, if you are unsure about doing a placement! The experience I have gained is invaluable, I have been able to deal with the pressures of final year much more appropriately and I feel that my employability has improved considerably. My best memory from NTU is meeting everyone who have become friends during my time here. I couldn’t have imagined that I would meet so many different people, I've made friends from my course, from my placement and housemates who I can genuinely say I will stay in touch with for a long time after I leave university. NTU and particularly my placement year introduced me to people who I would never otherwise have met or spoken to and I am extremely grateful for that. Nottingham is not what I expected at all. I thought it would be much bigger than it actually is - the only big city I’d previously visited was London so only had that as a comparison. In fact Nottingham is quite small and you can walk from one side of the city to the other easily. One of the best things about the size of the city is that everything is right on your doorstep. The nightlife is brilliant and offers something for everyone! The number of restaurants and shops is unbelievable and you will definitely not be bored here. Nottingham Law School is amazing and really tries to impress on you the practical side of law as well as teaching you the necessary information you need to become a good lawyer, which is so vital in practice! I feel that at NTU in general, there is so much emphasis placed on employability and what comes next after university! It really does prepare you for the job you want in the future and offers plenty of support to help you get there. In terms of the future, I've decided not to apply for jobs until after I graduate, to ensure that I can focus all of my efforts on my studies. Once I have graduated, I plan to apply for paralegal jobs so that I can work in a legal environment whilst applying for training contracts and save money to fund my LPC. Hopefully, I will be able to get a training contract with a firm that will offer financial support towards this. I then hope to qualify as a solicitor but I'm unsure in what field at present!